The budget process involves revenue and expenditure forecasting and often a review of company-wide operational costs. 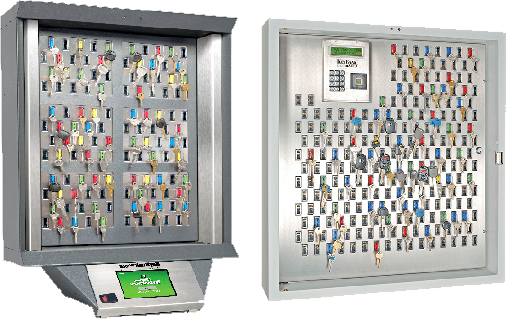 For many organizations, both large and small, the ongoing costs of replacing lost keys is a glaring expense, in addition to safety and security issues – but one that can be easily remedied with a purpose-built key management system. The use of physical keys is exceptionally cost effective and it therefore makes sense from a cost as well as a time standpoint to ensure keys are safeguarded and to additionally take advantage of the increased level of security they offer. The ability to store and track keys provides an immediate improvement to a dealers safety and security and the systems are much more controllable in terms of managing costs – an important factor when preparing or reviewing budget costs. Key management systems can also be integrated into the overall security system for additional savings and protection. Administrators can access, program and monitor the system over a network from anywhere. This convenience allows managers to access reports, change users, establish permission levels for each user code, monitor data or configure the systems from virtually any location.